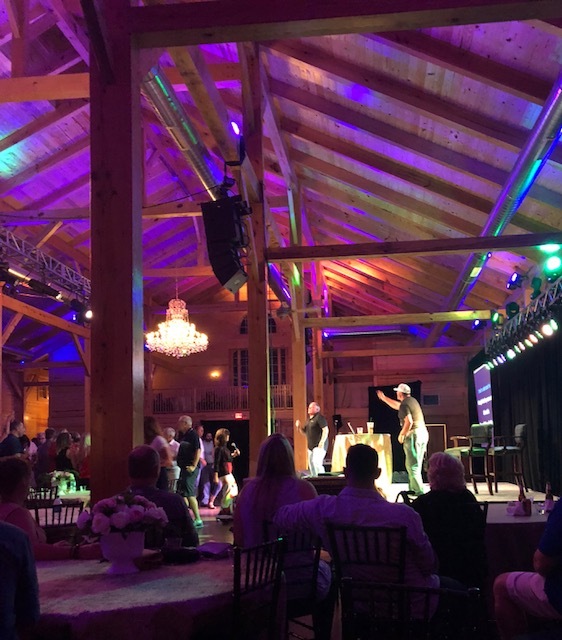 The Middleburg Barn, is our newest addition to the remarkable legacy of Fox Chase Farm located in Loudoun County’s hunt country. Designed and named by Maureen Hanley and built with a tradition of preservation and conservation in mind, it’s a space that is both beautiful as well as functional and is perfectly at home in the stunning landscape of Middleburg. The barn is solid southern yellow pine wood structure and made with no nails, mortise and tenon. Woodworkers around the world have used it for thousands of years to join wood. In its basic form, it is both simple and strong. 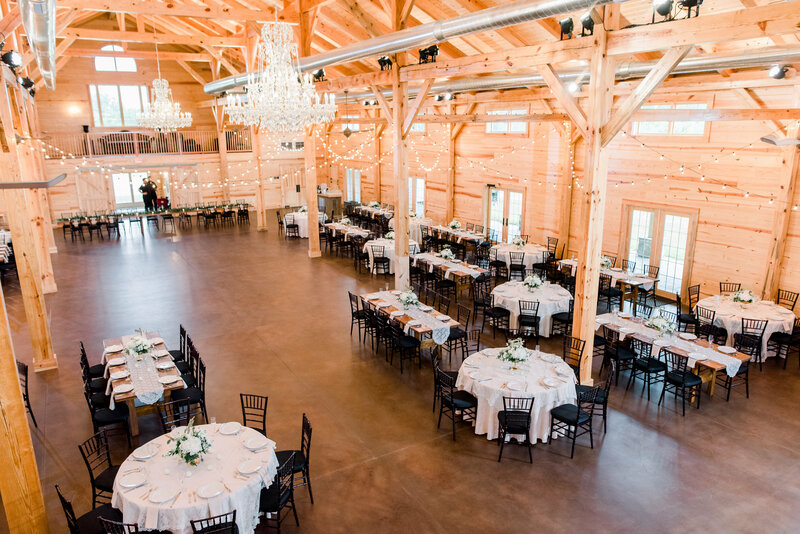 The barn features an abundance of natural light, barn doors and 60-foot ceilings that give the space an open and airy feeling. The natural light highlights the stunning architecture, showcasing the perfect blend of rustic, juxtaposed with sophistication. Covered front porches on both sides for when you want to take in the landscape leading to the barn or to look out over the beauty of Loudoun’s hunt country. 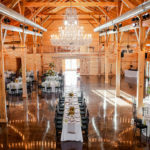 When the sun goes down, two jaw dropping Swarovski crystal chandeliers glitter above with a state-of-the-art custom ambient lighting system offer variable types of illumination, capable of transforming the barn from a candlelit intimate space to an elegant bash with various colored lights to fit the mood. 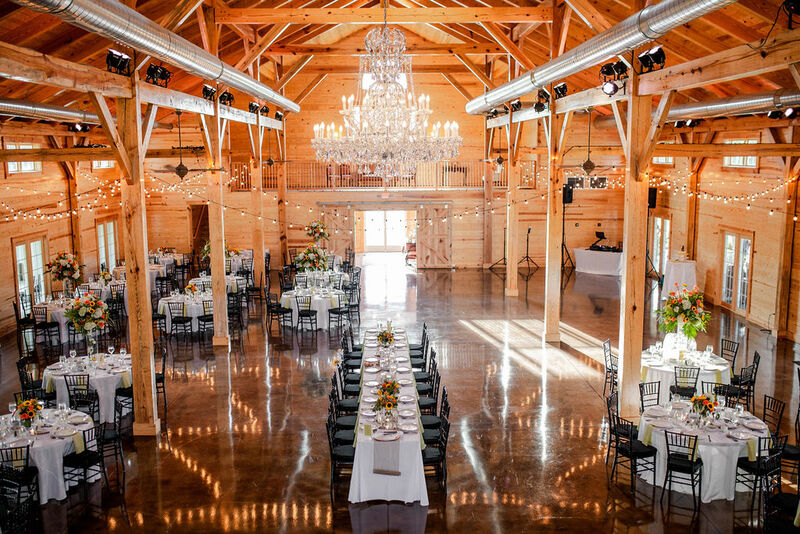 The barn is fully heated and air conditioned, seats up to 400 guests or 700 theatre style an offers plentiful parking. 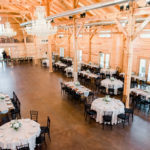 Whether you are hosting a film festival, charity dinner, corporate event or wedding, this venue is perfect for anyone who wants a sophisticated event evocative of the spirit of hunt country with the comforts of today. 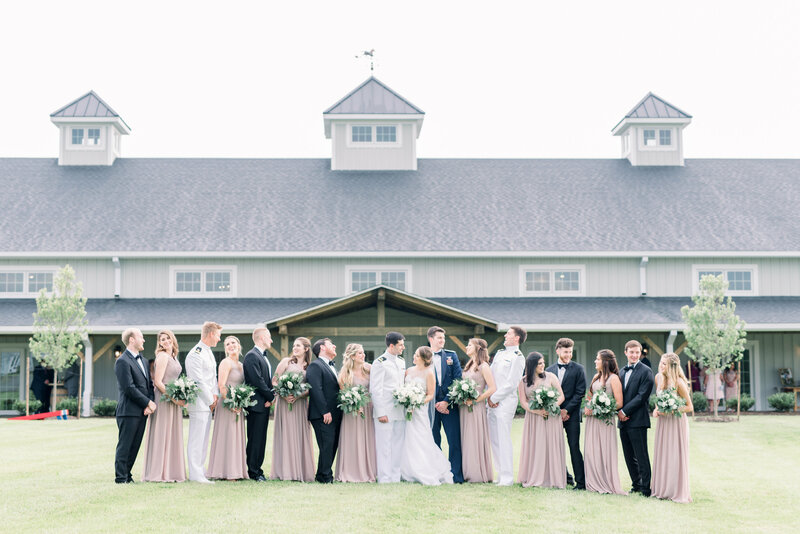 Take an interactive tour of our barn that our friends at Wedding Wire created for us! 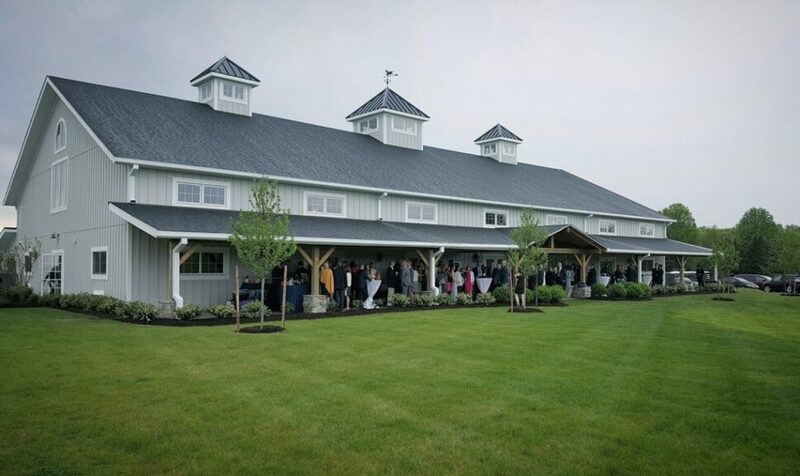 The farm’s recorded history dates back to 1876, when it began a long and illustrious trajectory of being a well-known thoroughbred breeding farm and later a preeminent equestrian facility. 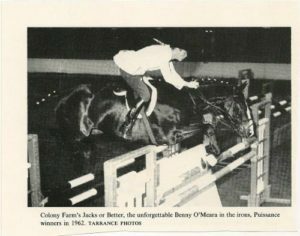 Benny O’Meara (brother of Jane O’Meara Sanders, wife of the presidential candidate Bernie Sanders) acquired the property in 1964 when he quickly rose to the status of icon in the equestrian community. During his short but meteoric career as a show rider and trainer (he was tragically killed in a plane crash at the age of 27) he trained horses that went on to compete in the Olympics and win numerous and notable championships. 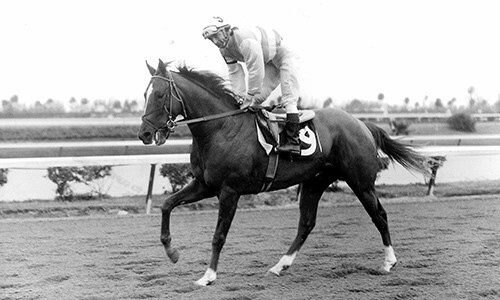 O’Meara’s family ran the farm until it was purchased in 1975 by a group of investors who included Lucien Laurin, Secretariat’s trainer, as well as Billy Kilmer (former Redskin). Of the 60 horses that at one time resided in the barn, one of the most famous was Spanish Riddle, a remarkable stallion who continued to live a long and fruitful life post a career-ending accident with the help of an artificial leg and hoof. And that is how Spanish Riddle survived broken bones, torn ligaments and an amputation to become a stallion, a veterinary pioneer and a model of how the spirit can sometimes overcome circumstance. The celebrated stallion is buried at the farm. 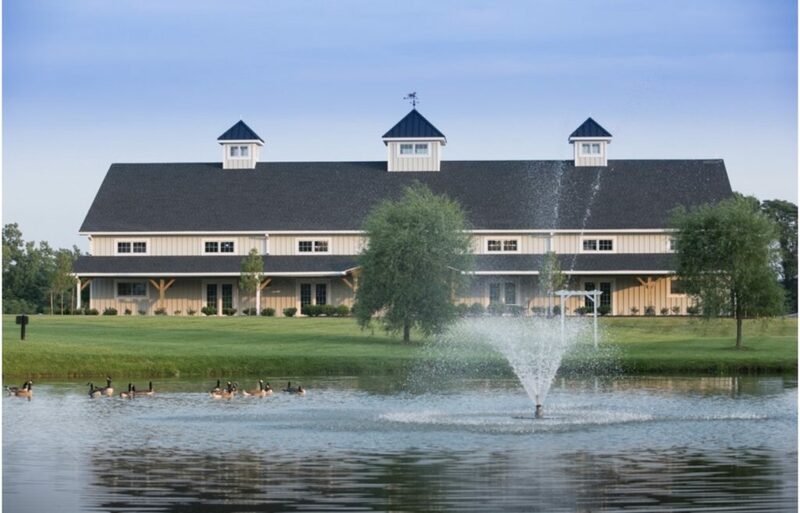 Years later, the farm was purchased by the founder of USA Today, Allan Neuharth, the focus of its mission was changed from an exclusively thoroughbred haven to a lesson facility. Many a person rode here and took lessons and came from all over the Washington DC area. This is where the Hanley family stewardship of Fox Chase Farm begins. Maureen Hanley, a horse enthusiast, renamed the farm to Fox Chase Farm in 2000. She took the farm in a new and exciting direction, hosting events, horse shows, clinics and numerous charity events and a division at her horse shows called The Benefit Hunter Division, whose proceeds were distributed among many local charities. Fox Chase Farm had a deep and rich history in Loudoun County, something the family has taken great pride in preserving.